We are pleased to inform you that with effect from 14 January 2019. Today, for security reasons and there are too many things in common between VTGram, Grameasy and Stackposts. 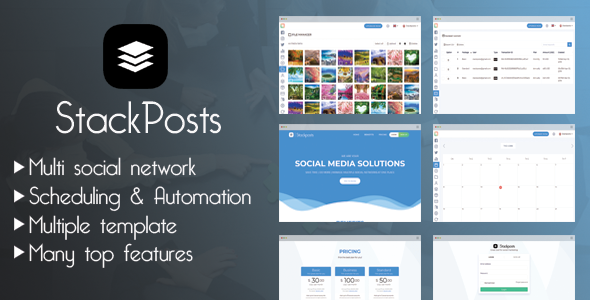 we decided to close some script:GramEasy - Instagram Auto Post & Activity (Standalone script) and VTGram - Marketing Solutions for Instagram (Standalone script). We disabled them from Envato Marketplace. We're sorry for the inconvenience and you guys don't worry about that we always support and continute to release update version for all the current buyers and new buyers in our site: https://stackposts.com . If you intend to buy or need to download the last version for both these scripts.